Product prices and availability are accurate as of 2019-03-27 16:08:21 EDT and are subject to change. Any price and availability information displayed on http://www.amazon.com/ at the time of purchase will apply to the purchase of this product. General Wire Spring Flexicore Drain Cleaner Cable. 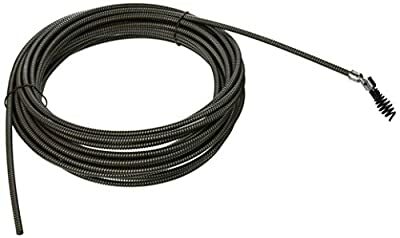 For electric drain cleaners Flexicore Drain Cleaner Cable. 1/4" X 50 FT. W/DOWN HEAD. Replacement Part. Home Repair, Repair Parts, Fix Plumbing.